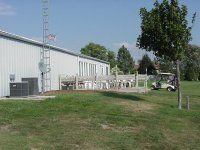 The Clubhouse at Steepleview Golf Course has what you're needing in golf supplies: golf clubs, rental clubs, shirts, hats, balls, gloves, and other assorted accessories. 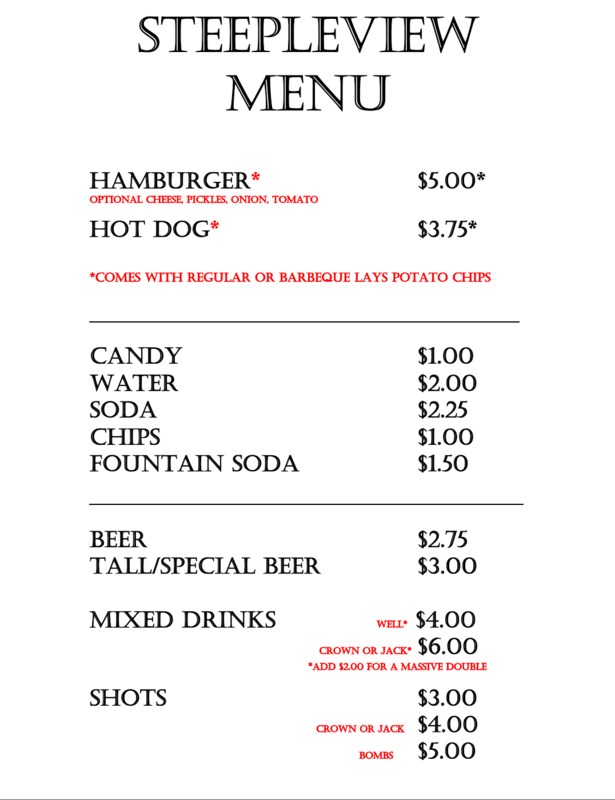 The club house is air conditioned and offers for sale: sandwiches, pop, beer and mixed drinks. Gift Certificates are available and make a great gift idea. Our clubhouse can host your next event, or tournament. Enjoy yourself on our patio overlooking the driving range and the 4th hole. Our practice facilities provide our golfers and their guests the opportunity to work on every aspect of their game. A full-sized driving range. In addition, a practice putting green to help anyone hone their putting game skills. The green is cut to the same height as the regulation greens for accurate practice. In keeping with Country Club tradition, Steepleview Golf Club was designed as a club for the entire family. The golf course providing hours of summertime entertainment. Family members and guests of membership pass holders are always welcome to use our recreational facilities. Individualized plans to suit every golfer. Make your tournament a success!